You may have noticed that beatlesblogger hasn’t been updated for a little while. 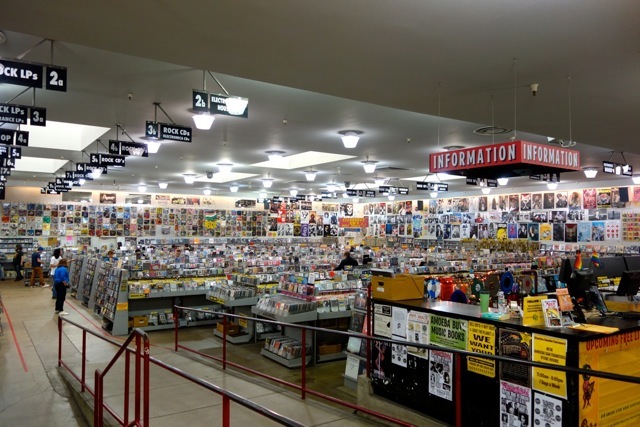 That’s because I’ve been on holiday in San Francisco, USA and of course while there I had to make time to visit some record stores seeking out any Beatles or Beatles-related records and CD’s. What I found will be the subject of the next couple of posts here. First though to the main stores I discovered in San Francisco offering either new and/or second-hand Beatles. There were three main contenders here – and all very worthwhile checking out if you happen to be in town. 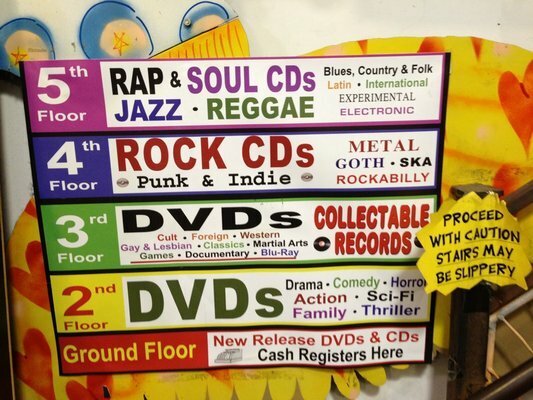 The first was Rasputin Music. They have two stores in San Francisco itself, plus shops in nine other locations in the wider Bay area and California. The two I got to were the store just down from Union Square on Powell Street, and the one on Haight Street in the famous Haight-Ashbury district. 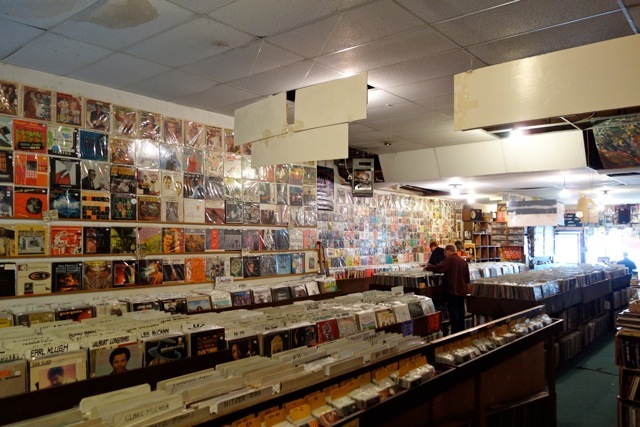 The Powell Street store is by far the largest of the two, with five floors (that’s right, I said five levels) of new and used records, CD’s, DVD’s and tee shirts to tempt you. As you can see, Recycled has a wonderful ambience and can be a bit overwhelming at first such is the extent of their collection. 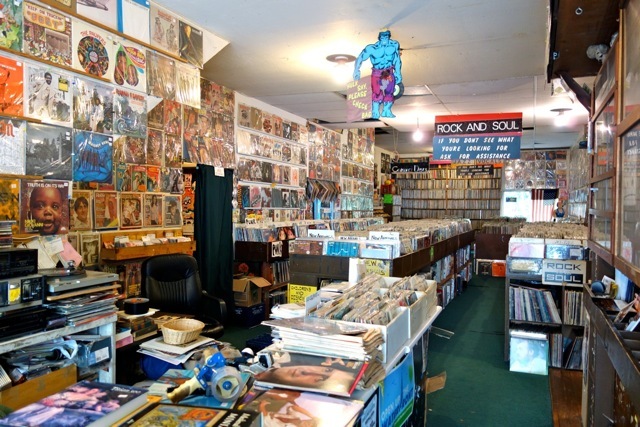 They sell LP’s, 45’s, compacts discs, posters and assorted paper memorabilia; rare books and a wide assortment of collectibles. If at first you don’t see what you want in the bins look below them to the shelves. I found quite a few other great items stored down there. Again, well worth checking out. 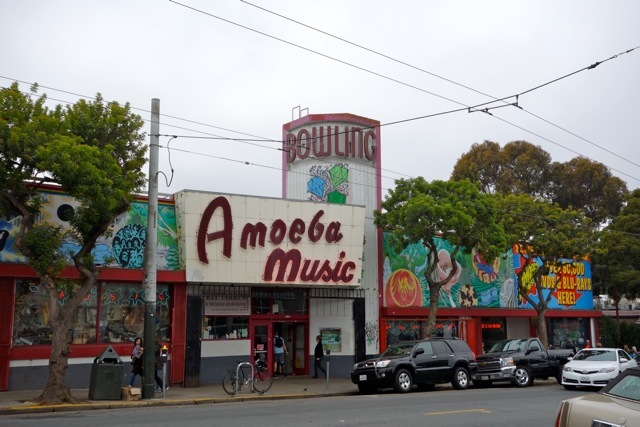 Amoeba have two shops in the Bay area – one in Berkley, and one at 1855 Haight Street (they also have one in Los Angeles too). 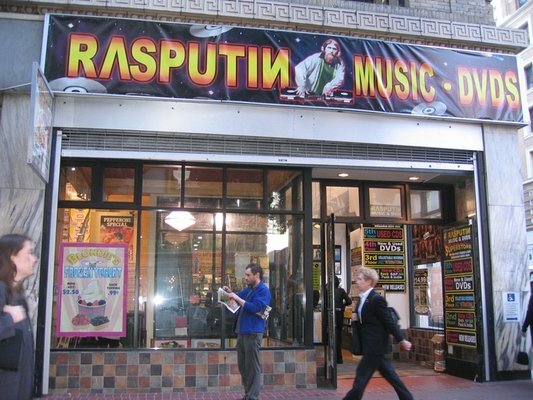 So, if you are on Haight for a visit to the groovy, picturesque and historic Haight-Ashbury district you can use the time to check out not one but three stores (Rasputin, Recycled, and Amoeba) all within easy walking distance of each other and all harbouring potential Beatle treasure. So, those are the stores I visited covered. Next time some details on what I found……check back again soon. 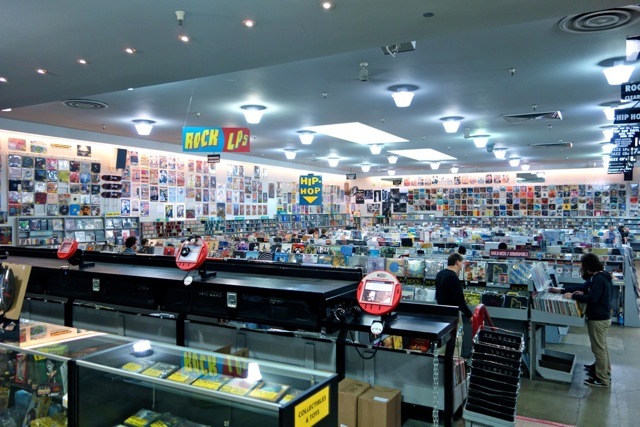 This entry was posted in Beatles, Beatles Collecting, Beatles Music, Beatles Related, Record Shops, Record Stores and tagged Amoeba Records, Beatles, Beatles Collecting, Beatles Related, Rasputin Music, Record Stores, Recycled Records, San Francisco, shopping by beatlesblogger. Bookmark the permalink. Glad you got to these places – both are goodies…been there many times since I live out on the beach (other side of Golden Gate park) – south of it – toward Half Moon Bay..but looking like I am moving this winter to Marin which also has some good used stores as well. what you didn’t check out “let it be”? the owner cliff is best guy in town to see about anything fab four. 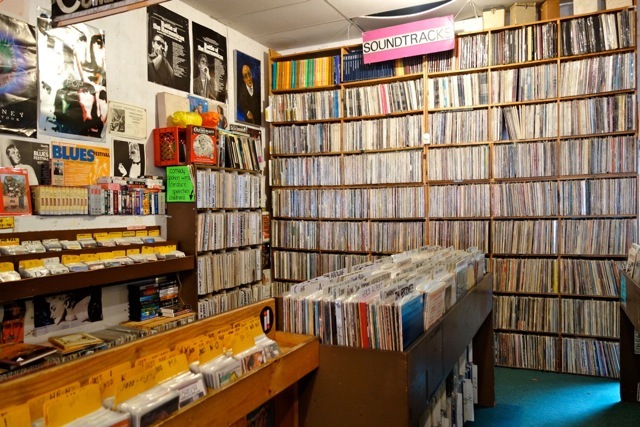 Its funny – I only heard about the Let It Be Records store the day after I left San Francisco….it sounds good and I would have visited had I known about it.